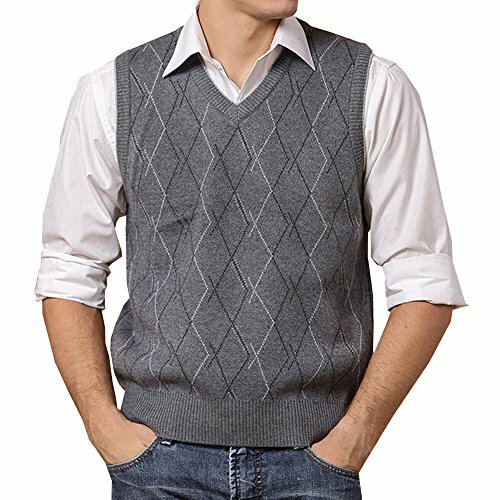 Lisianthus Men's Wool Argyle V-Neck Sweater Vest. 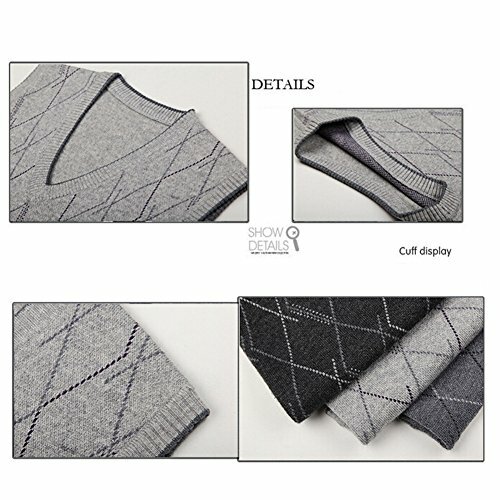 Materials: 30% Wool, 70% Cotton. Great Item for Fall & Winter. Whether dressed up, or worn casually, this vest offers multiple style possibilities. It can be worn with a variety of shirts, with or without a tie, and there's also the option to wear it under a blazer, or with a two piece suit. 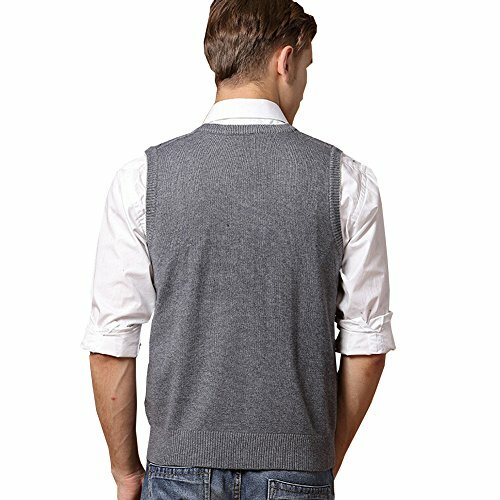 The vest also easily coordinates with many different bottoms, from dress trousers, khakis, and jeans. 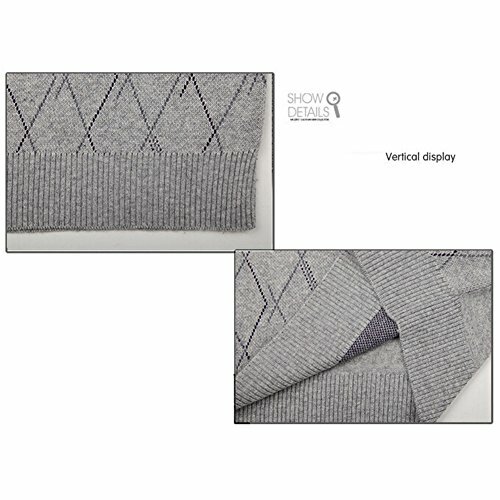 Size L; Chest: 115cm/ 45.3"; Shoulder: 46cm/ 18.1"; Length: 70cm/ 27.5"
Size XL; Chest: 116cm/ 45.6"; Shoulder: 46cm/ 18.1"; Length: 70cm/ 27.5". 1.Please allow 0.5cm/0.20in differs due to manual measurement. 2,If you are satisfied with our products, Hope you can leave a Positive rate with five stars, thank you very much. If you are no happy for any reason, Please feel free to let us know. Lisianthus is a RegisteRose Trademark. USPTO Trademark Number is 86480032. We do not authorized any third parties to sell our products. You have no rights to sell any Lisianthus products on Amazon, our attorney will file the lawsuit, in conjunction with an official complaint to Amazon copyright department on any Unauthorized sells. Please pay attention to our size chart on "Product Description"
If you have any questions about this product by Lisianthus, contact us by completing and submitting the form below. If you are looking for a specif part number, please include it with your message.